THE MARCH 21 decision of the University of the Philippines Diliman (UPD) University Council (UC) to cut the number of General Education (GE) units from 45 to 21 – or from 15 three-unit subjects to seven – means that undergraduate students will be required to take fewer humanities and social science subjects in UP’s flagship campus. Among those who will be affected are journalism and communication students, many of whom become professional journalists after graduation. This major curricular change is partly in response to the Commission on Higher Education’s (CHED) memorandum calling on the country’s colleges and universities to make the necessary changes in their curricula in view of the country’s adoption of the K to 12 program. The Department of Education, CHED, and UP have all justified the changes that are taking place in the educational system, whether at the basic education or the tertiary level, as necessary for the Philippines to be “competitive” with other countries. The changes are also consistent with decades-long demands that Philippine education provide training consistent with the needs of industry. The changes are being driven by the assumption that the basic responsibility of education is to prepare men and women for employment. The courses that have been identified as matching industry needs are mostly those in such technical fields as engineering. It is from the faculties of science and engineering that support for the UP GE cuts has been strongest, with some engineering faculty pushing for them because the cuts will enable students in the engineering program to graduate a year earlier. Technical and vocational education is the quickest path to employment, for which reason there are short-term courses available. But both parents as well as students themselves assume that university education is also meant to enable graduates to obtain jobs, albeit at presumably higher levels than those available to the finishers of technical and vocational courses. The pursuit of “higher learning” is thus subsumed to the assumed imperatives of immediate employment. No one can or should deny that in addition to enabling graduates to get jobs that basically involve some kind of brain work, a university education can also be the key to social mobility. The college graduate daughter of a taxi driver can, at least theoretically, become an accountant, or the son of a carpenter a government clerk. But for this purpose only certain skills are necessary. Employers may demand a college diploma of prospective clerks, but they expect only that the candidate employee can read and write in addition to having numeracy skills, familiarity with the use of computers, a passing grade in government exams, etc. Only very rarely, if at all, do they expect an understanding of Philippine history or some knowledge of the arts, which GE courses are intended to impart. On the face of it, and as has often been argued by those in the technological and natural science disciplines, this validates the view that social science and humanities courses are of no use in either getting a job or in the worksite itself, hence the demand to cut the number of GE units. However, an accountant in an insurance office is also a citizen who, in this country, is called upon every three years to exercise his right to choose the officials to whom he has delegated his sovereign power to govern himself. To meaningfully exercise that right through the ballot, he must have the capability to intelligently look at public issues and to form opinions about them, and to decide who among those vying for his vote best represent his own views and interests. But not only in the public sphere does the need for some kind of literacy beyond his or her discipline arise. It may similarly be necessary in the workplace itself, where such questions as joining a union or not may arise, or whether he or she should be accepting bribes in exchange for expediting the processing of someone’s papers. In such instances, some understanding of his rights, as well as of those of his fellow workers, and the ethical imperatives of public service, are necessary. A background in the social sciences and even the arts – which among others exposes the graduate to the limitless varieties of human experience and how other men and women in other times and places respond to them – can provide both the political and social as well as the ethical guidance and the critical outlook he or she needs. It may in fact be argued that because human beings have to respond to many challenges during their lives, education should be a lifelong commitment to learning as well as to the capacity to critically assess the choices that they need to make in society, and the paths that they think can either sustain or change the conditions of existence. The true aim of education is in that sense to train men and women in the responsibilities of freedom. What human experience demonstrates is that human beings are constantly being called upon to make decisions about their lives, about society, and about the world, and that their decisions need to be made in full knowledge of the consequences. Although reduced to cliche status, it is nevertheless true that the aim of university education is to produce the well-rounded individual who, after all, is not only a doctor, a lawyer, a clerk or an accountant, but also a citizen, a husband or a wife, as well as a parent, but most of all a human being whose primary responsibility is to help others understand and transform the world, whether it be in terms of working for and introducing changes in the workplace or in society at large. It is from recognition of this reality that the need for general education – in the natural and social sciences, in literature and the arts – has been recognized as indispensable to the making of the truly educated man or woman who can function, form opinions, and act in the public sphere. Because such individuals tend to be critical, the kind of education that will produce them is contrary to the capitalist preference for docile employees and workers. The critical faculty is especially crucial for those whose work has the capacity to help others acquire an understanding of society so they too may freely participate in public discourse and in the essential human task of changing the world. Journalists as well as artists are among those whose socially-mandated tasks require them to be specially responsible because of their power, inherent in the communicative arts, to assist in either changing the world for the better or in preserving the worst of it. Their capacity to be among the means through which the former may be achieved at least partly depends on how well they have been trained. Journalists are called upon to report, provide analysis, and comment on every aspect of the human experience. Intelligent reporting and comment on climate change and on earthquakes and other natural disasters thus requires some background in the natural sciences, which a science course or two in the general education program can provide and which can be the seed knowledge from which further learning can grow. Most journalists are assigned to cover politics and governance, which require knowledge and understanding of the Constitution and government structures, the powers of government officials, etc, They may also find themselves tasked to do book, stage or movie reviews–a responsibility that requires some knowledge of the arts. The journalism programs of Philippine colleges and universities are patterned after the US model, in which journalism is an undergraduate course that in addition to providing training in the basic skills of reporting and opinion writing, requires the student to take subjects in mass media law, ethics, communication theory, and media and society in addition to social science and humanities subjects. Compliance with ethical standards, it is hoped, will be assured through a subject in ethics. But a broader understanding of the role of journalism in the making of a free society and its corresponding responsibilities is equally important to ethical practice particularly in countries like the Philippines where corporate and political control of the dominant media often militates against ethical compliance in terms of fairness, autonomy and truth-telling. Even in this setting, the journalist aware of his ethical and professional responsibilities in the context of his understanding of the human condition in the political and social context in which he has to function can push the limits of freedom, fairness and accuracy beyond the interests of owners and other media decision makers. As socially necessary and useful as these capacities may be in doing his tasks, these are at the same time vital to the practitioner’s own development as a free man or woman and as a member of the human species. The capacity for truth-telling unhampered by political and economic constraints has never been more vital. In the era of “post truth” and “alternative facts,” the journalist is being subjected to tremendous pressure to bow to the demands of populist politicians and their followers to report and interpret events as the latter see them, thus transforming them from truth tellers to propagandists. By cutting the number of GE units from 45 to 21, the University of the Philippines risks not only UP’s graduating unthinking and uncritical automata condemned to meaningless tasks about which they are unequipped to meaningfully change. That decision can also cause even greater harm to a calling that despite its value in public discourse and decision-making is under constant threat from those whose interests lie in keeping citizens ignorant of the issues that affect their lives through their insistence that journalism be an instrument of enslavement rather than liberation. The state of Philippine journalism education and of journalism itself is bad enough. Although over a hundred schools offer journalism and related courses like broadcasting, mass communication and communication arts, only a handful of schools meet the minimum standards mandated by CHED, among other reasons because of curricular deficiencies and instructors who, while meeting such paper requirements as MA degrees, are hardly equipped to instill among students an appreciation of journalism as a means of empowerment and freedom which only awareness of its role in society and in human affairs can impart. From such inadequacies proceed many practitioners’ assumption that journalism is just another job, despite its power to shape opinion and to move people to action. Journalism becomes just another means to put food on the table and to make the monthly rent, in the furtherance of which disinformation, inaccuracy and other professional and ethical failings are seen to be of no consequence. What is needed in the journalism and communication curricula of schools across the country is more rather than fewer GE courses taught by competent and dedicated faculty. 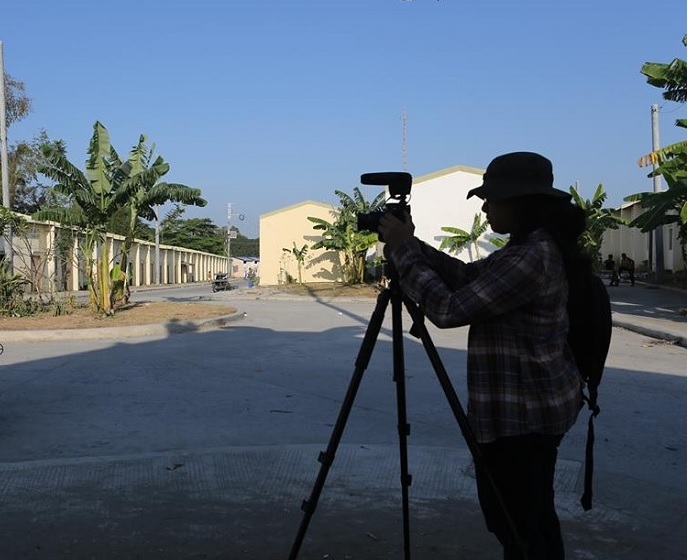 But because most schools look to UP as providing the benchmark for various disciplines, those other schools are likely to follow suit by cutting their own GE programs, with, undoubtedly, CHED approval–to the disadvantage of journalists and journalism as well as of Philippine society itself.